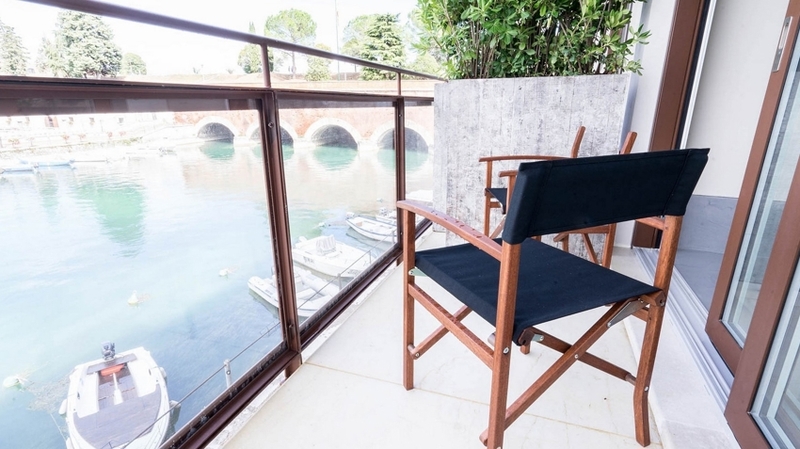 The Apartments Germani Cabanon are located in a dreamlike position in the middle of the historical centre of Peschiera del Garda. 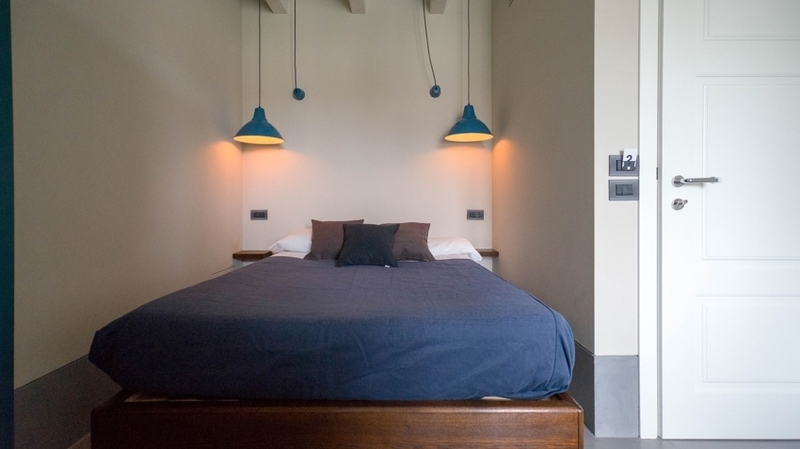 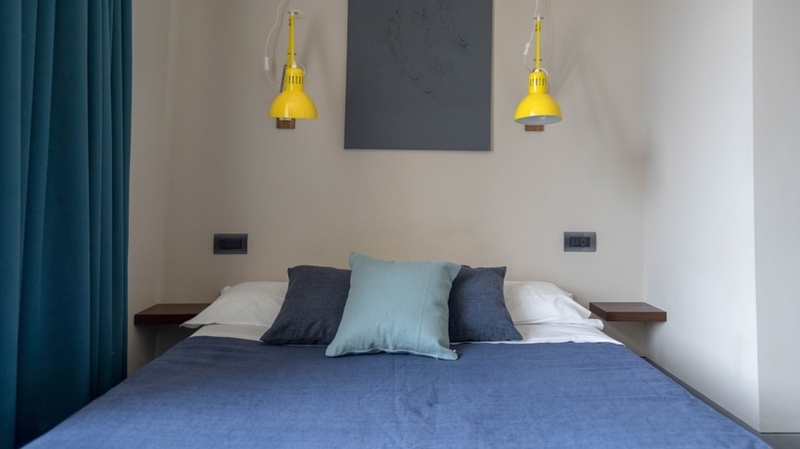 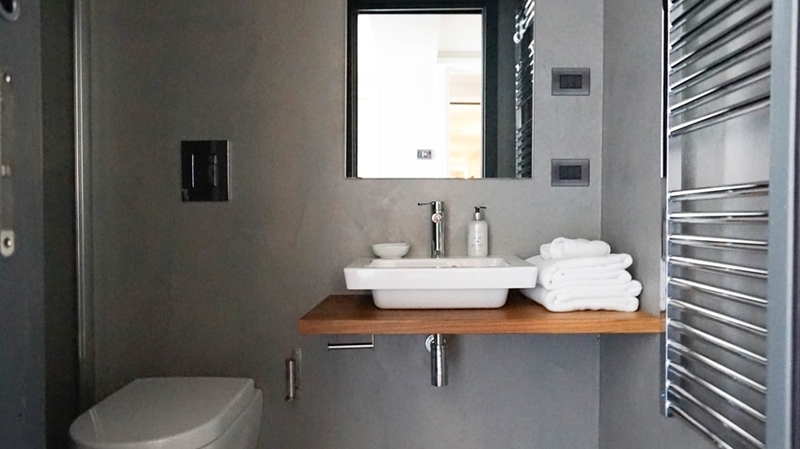 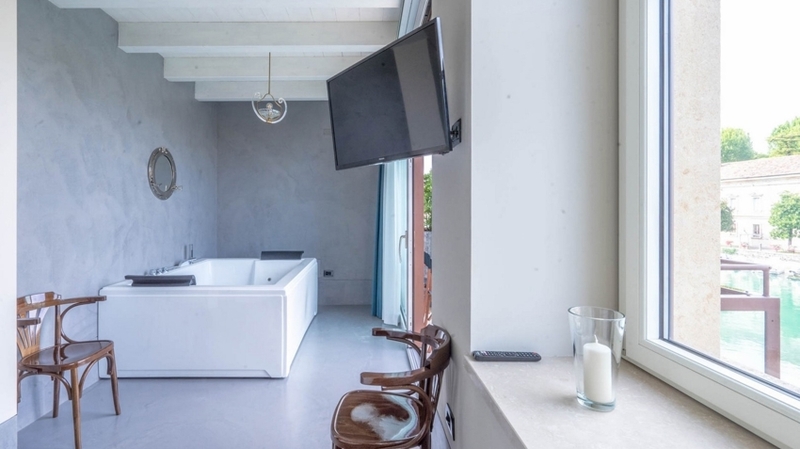 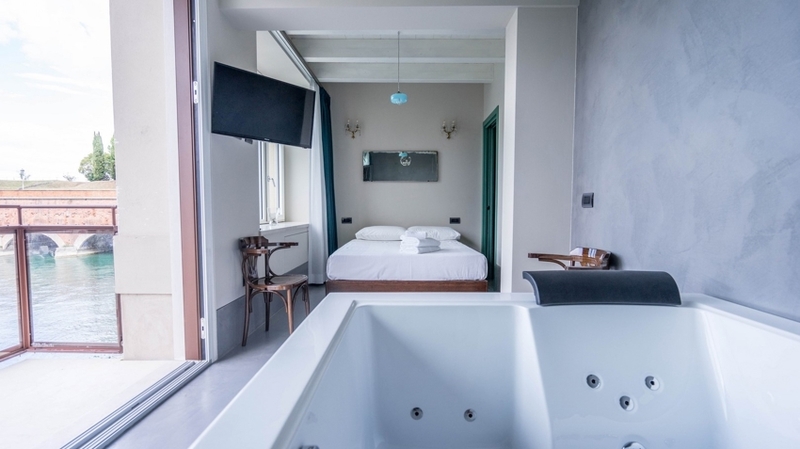 Here, at the south-eastern shore of Lake Garda, culture lovers, couples and bathing guests will look forward to a dreamlike view as well as to a comfortable and inviting atmosphere. 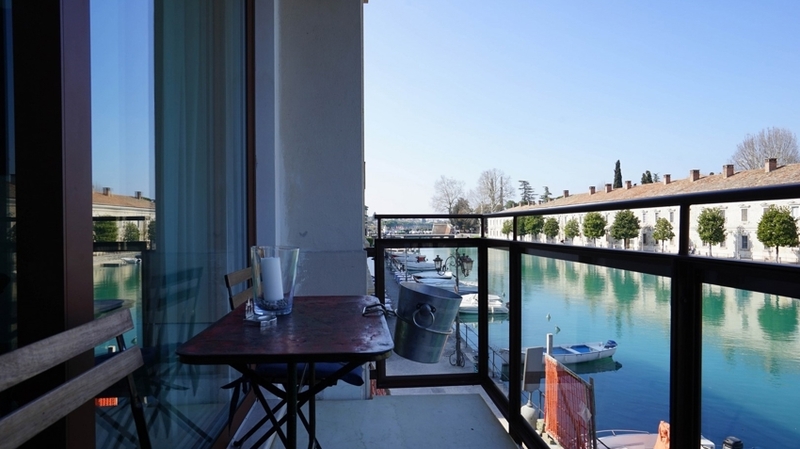 The countless amusement and nature parks at Lake Garda can be reached within a few minutes too. 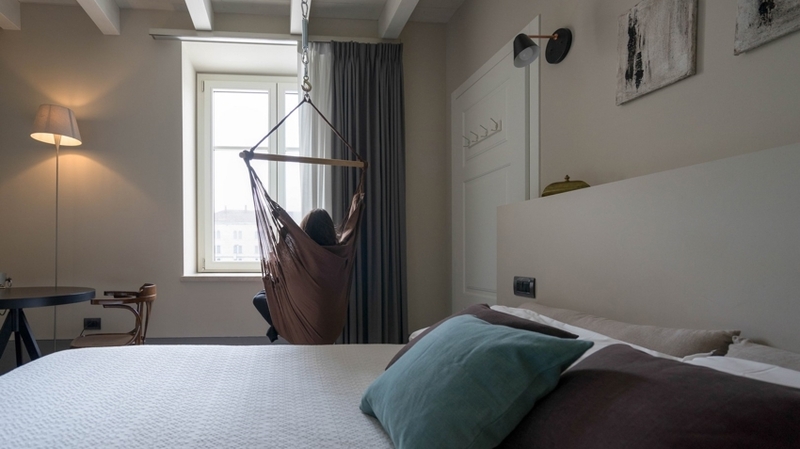 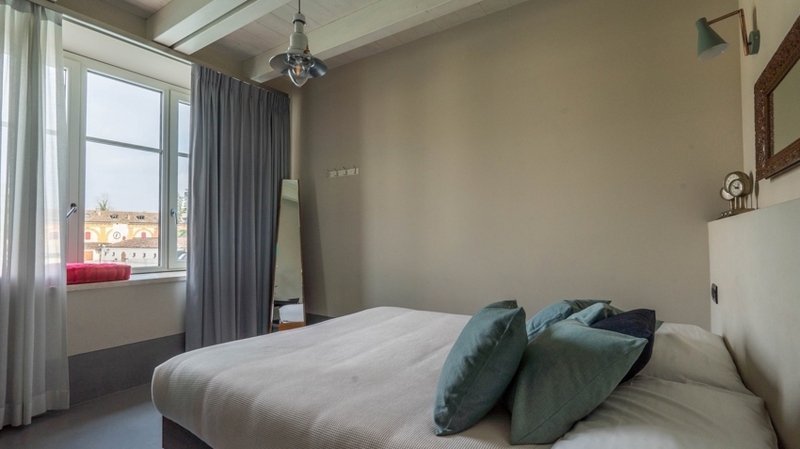 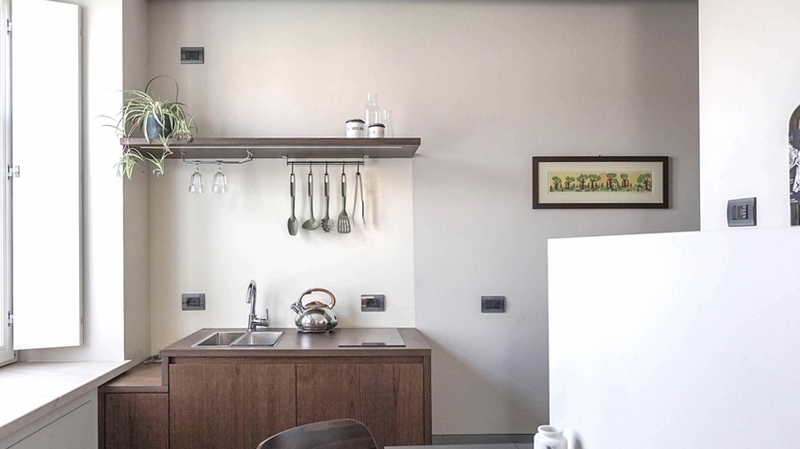 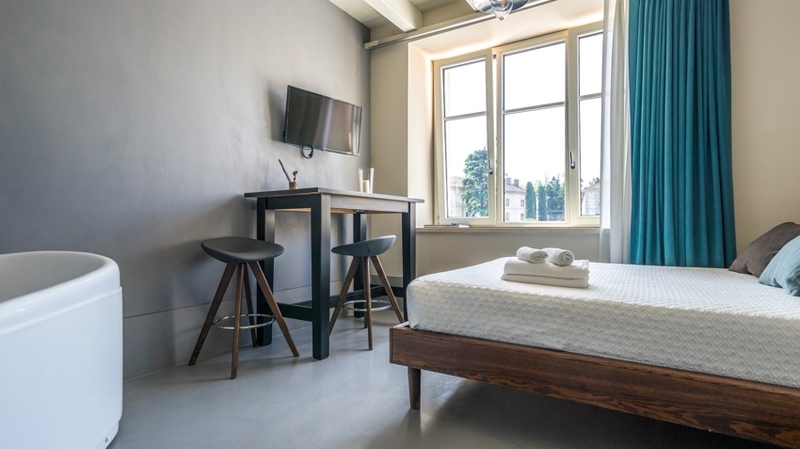 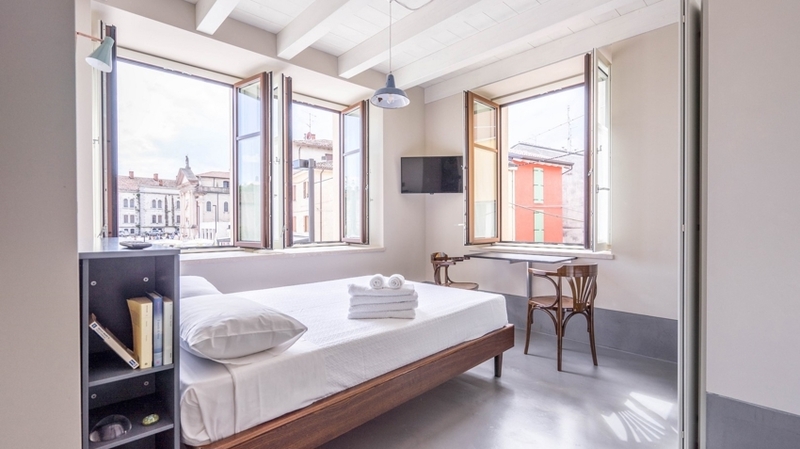 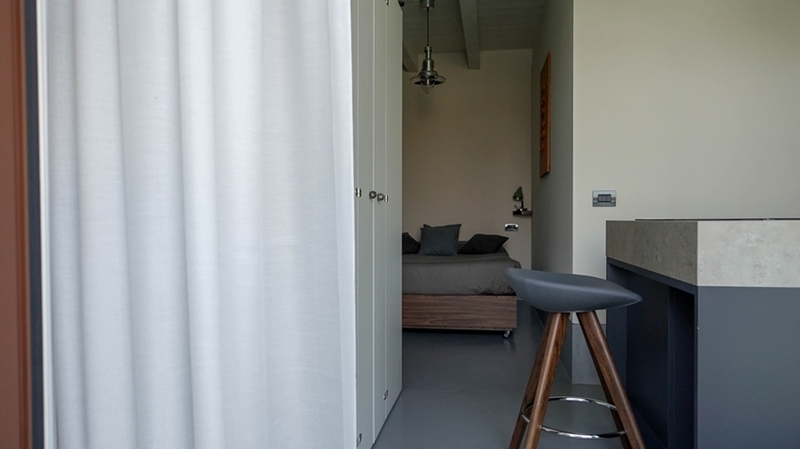 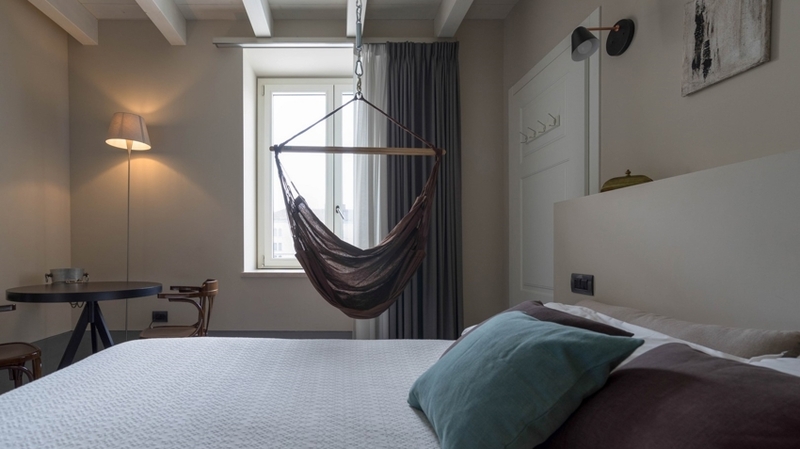 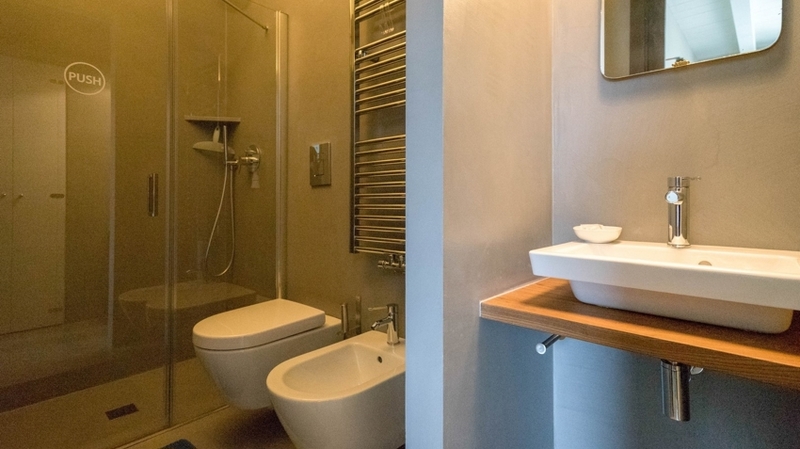 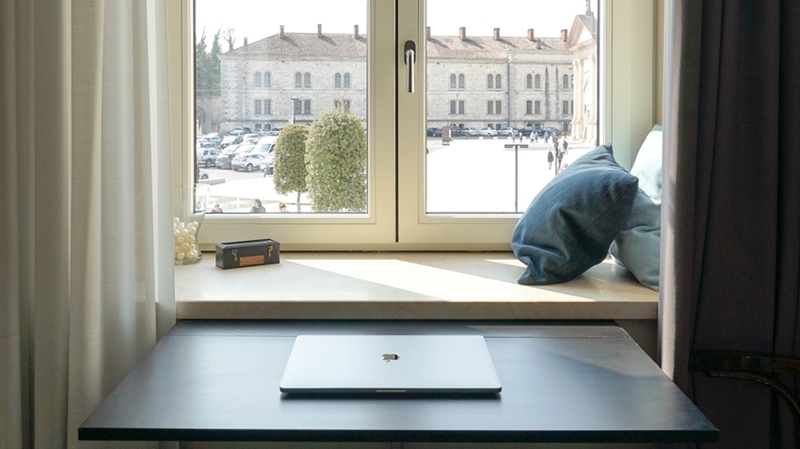 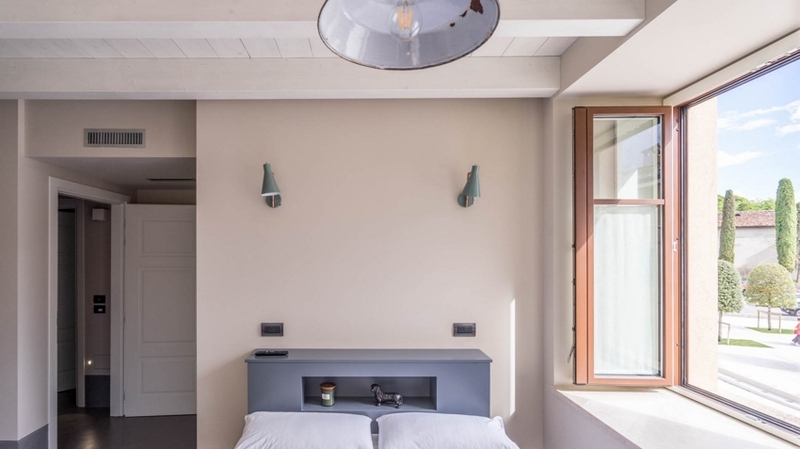 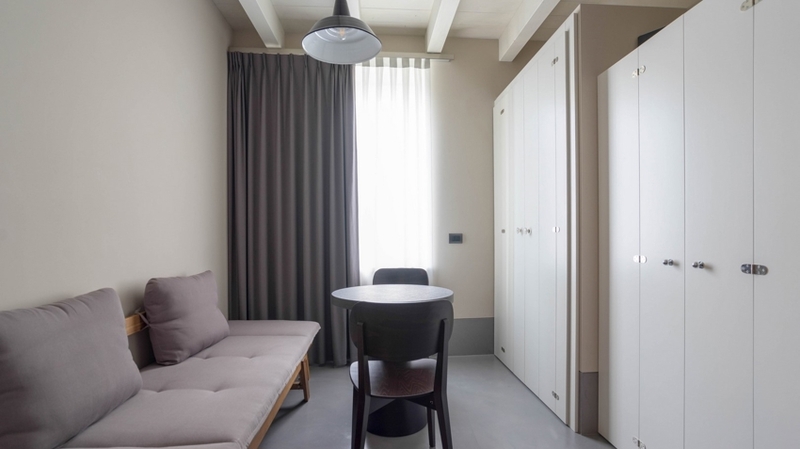 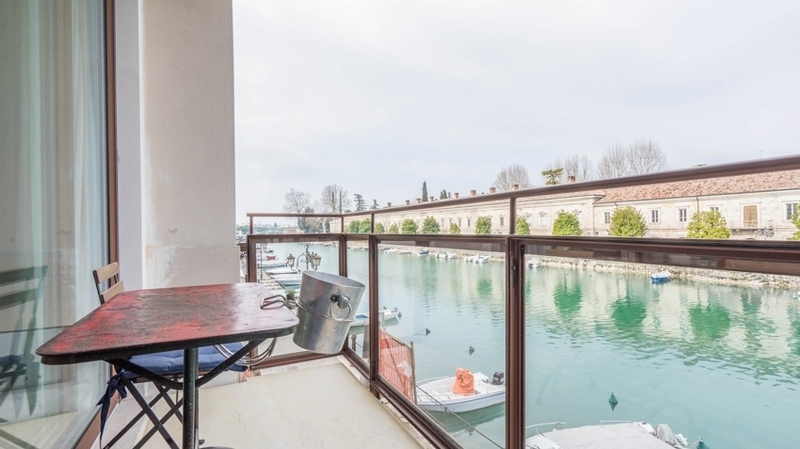 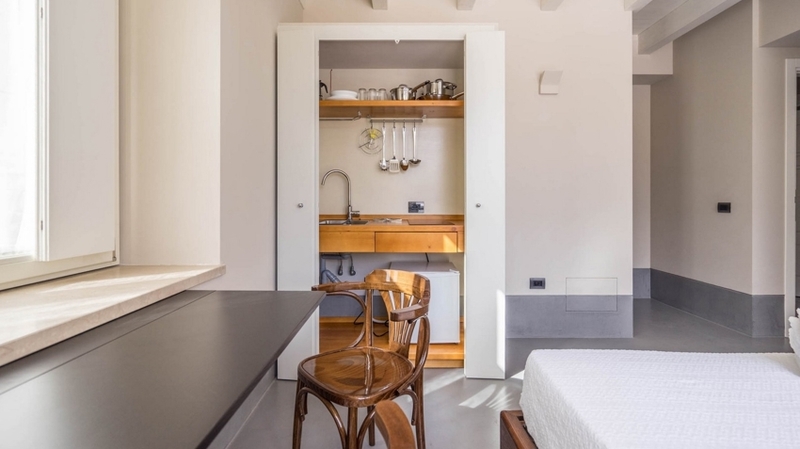 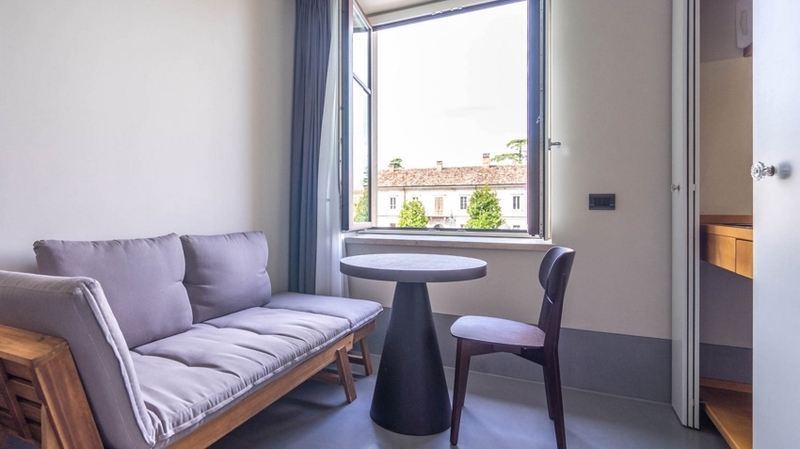 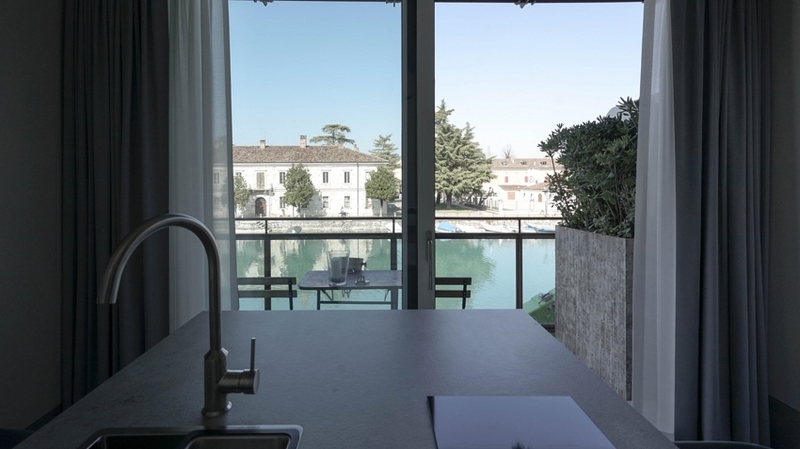 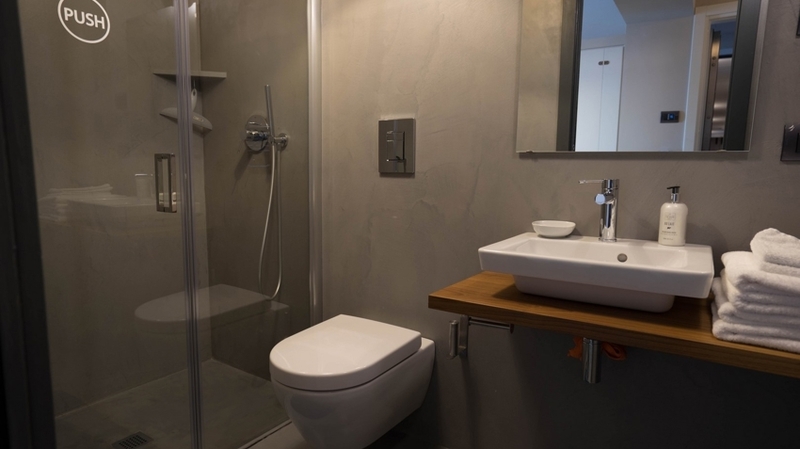 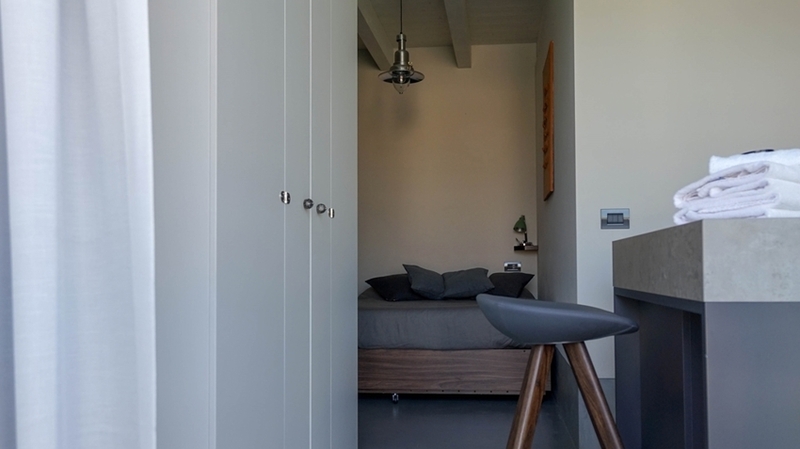 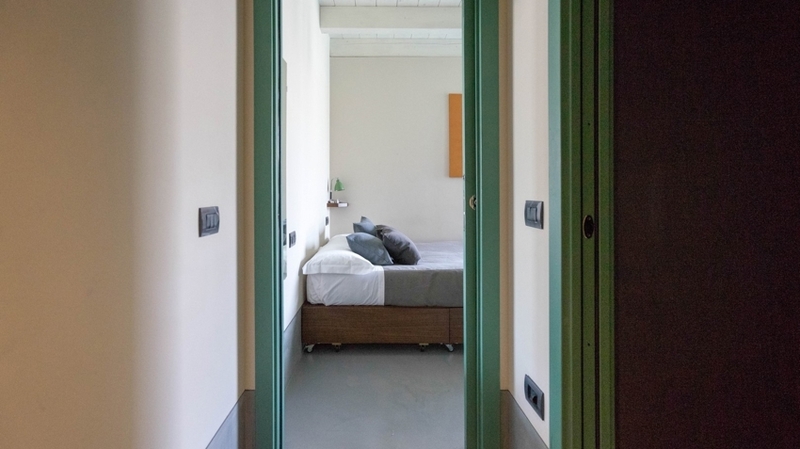 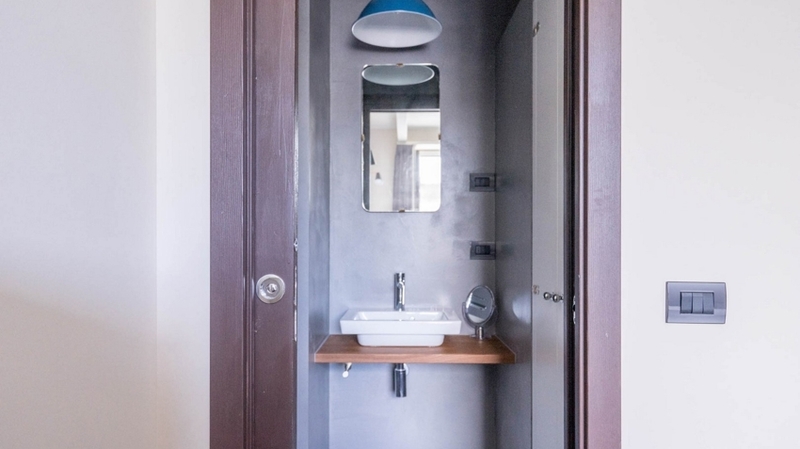 Germani Cabanon in Peschiera offers different types of studios, some with view of Lake Garda or of Piazza Ferdinando di Savoia, balcony and/or whirl tub. 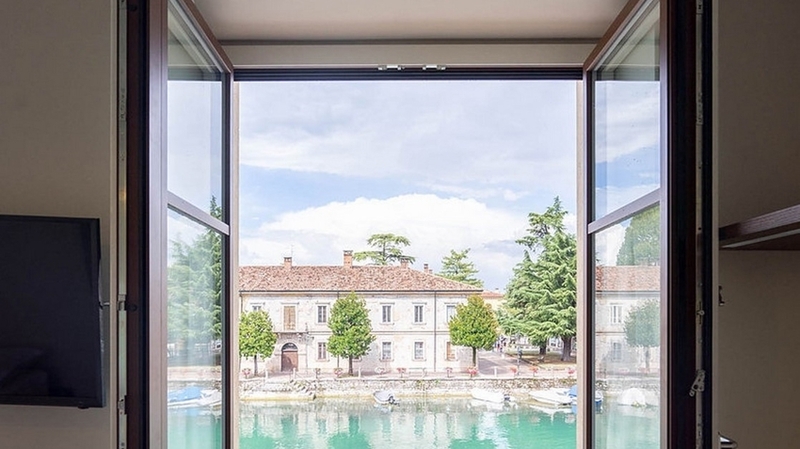 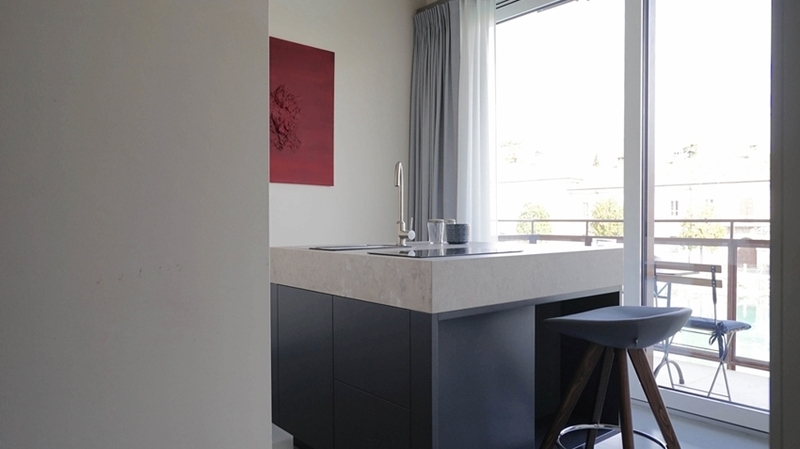 All premises are new and particularly elegant, offering any comfort for an exclusive holiday at Lake Garda. 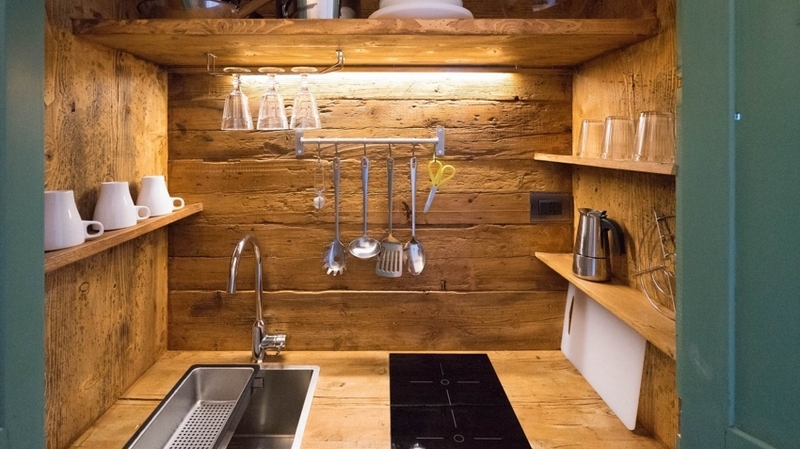 Some studios have a kitchenette with fridge. 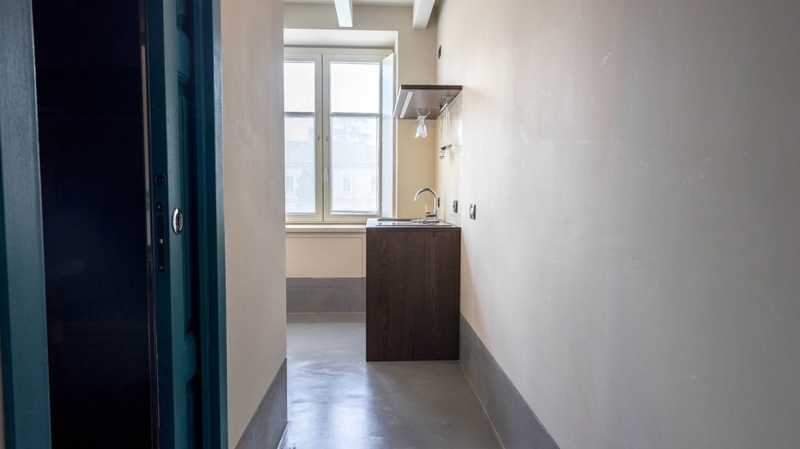 On request and against payment, you can enjoy a delicious breakfast prepared by the café in the basement of the building, served directly in your apartment. 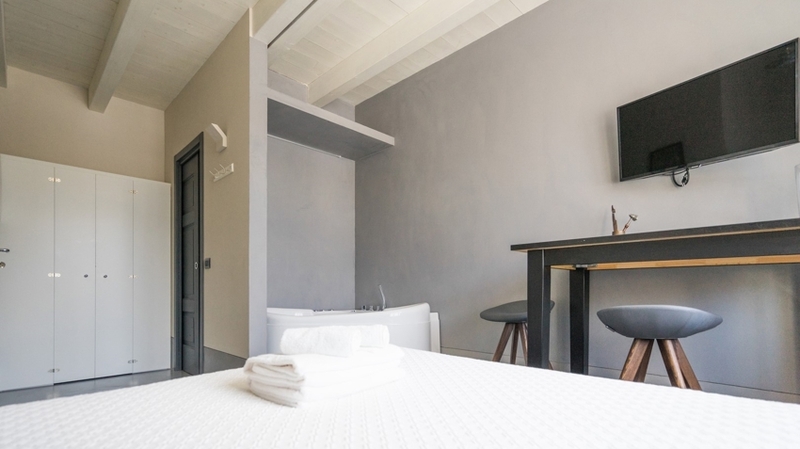 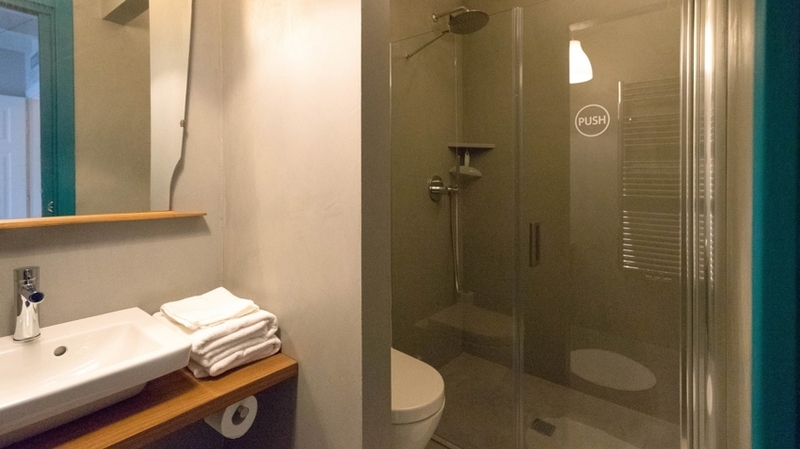 Available as well are free WLAN, air conditioning, TV as well as a 24-hours self-check-in. 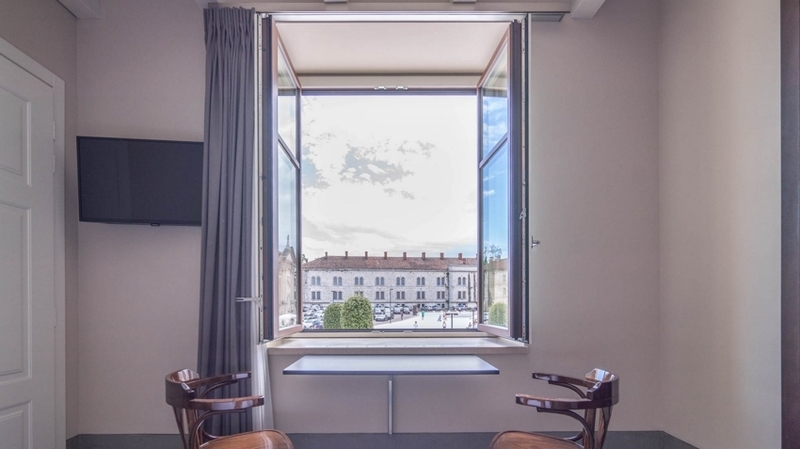 In the surroundings of Germani Cabanon studios, you will find several amusement parks, such as Gardaland (2,4 km), Canevaworld water park (6 km) or Zoo Parco Natura Viva (13 km). 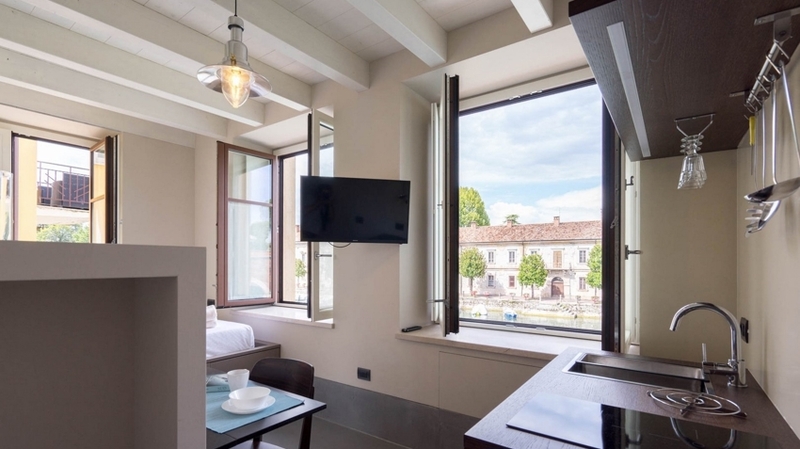 The picturesque streets of Peschiera with numerous restaurants, bars, ice-cream parlours and shops are ideal for talking a walk and for discovering. 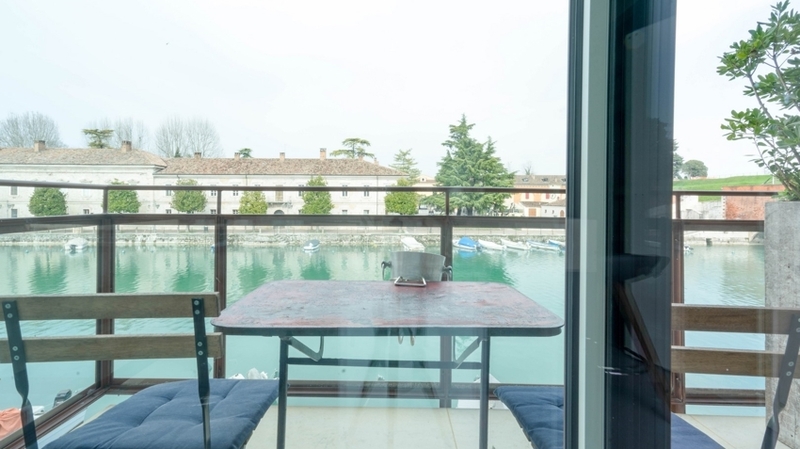 As well, our guests can quickly reach the train station of Peschiera. 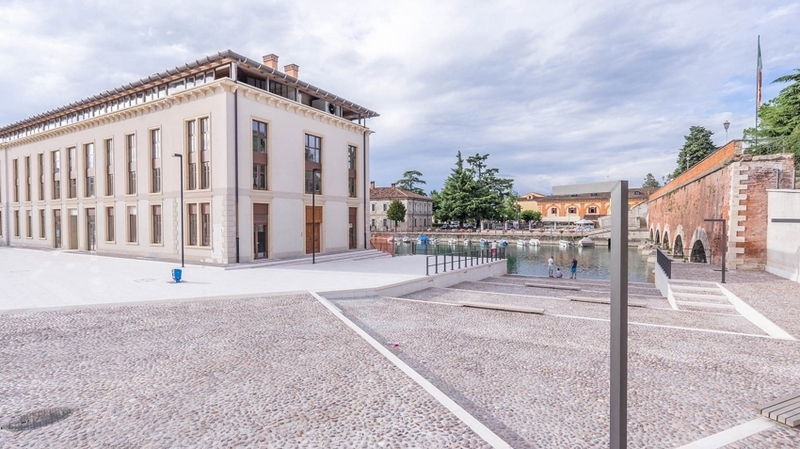 Verona airport is located at a distance of 17 km.